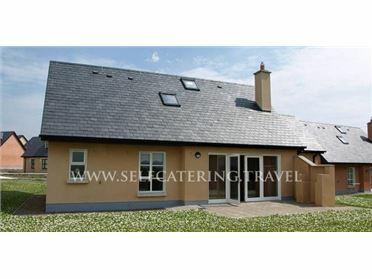 Ti Sheamuis is a detached cottage in the village of Cashel just four miles from Carna. The cottage sleeps four people and has two double bedrooms and family shower room. Also in the cottage are a fitted kitchen with dining area and sitting area. Outside is off road parking for two cars and patio with furniture. Situated on the shores of Galway Bay, Ti Sheamuis is a lovely holiday cottage from which to explore his delightful part of the country. The small, quiet village of Carna in the heart of the Irish-speaking area of Connemara Gaeltacht, is set on the shores of Galway Bay, overlooking Galway Harbour, in the scenic region of Connemara. Carna is noted for its traditional Irish music and singing, and music sessions are held weekly in the local pubs and hotel. For walkers, runners, cyclists and hillwalkers, the area provides opportunities unrivalled for their tranquillity and scenery. The quiet roads leading to Mweenish Island and the local coves are ideal for family cycling. Lying off the coast of Carna is St. MacDara's Island, a site of pilgrimage and mass held on 16th July each year. The famous sailing crafts, the 'Galway Hookers' were made in Carna, as well as a small boat called the Currach, and the area is well known for the skilled boat-makers who crafted them..